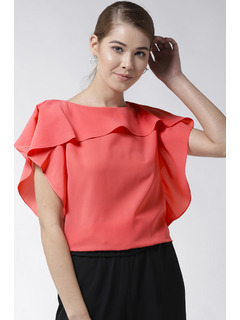 All you need for summer is a light, easy and stylish top like this one to beat the heat! Accessorize with: A pair of black shorts, tie up flats, a pair of earrings and some chunky bangles will complete this casual day look! Note: Accessories shown with the product are only for styling purposes.